Some people feel the chill of winter and look forward to the rush of snowboarding down an alpine slope. Others would rather relax and recharge in a warmer climate. Whatever your reason for going on holiday this winter, the following tips should help you from melting away your hard earned cash. 1. You can get significant discounts by booking your holiday at specific times. Hotels, airlines, travel operators, and resorts all tend to offer better prices at quieter periods or less popular days of the week. The best times for winter holidays are just before Christmas, the middle of January, or the middle of February. It's also worth checking when school holidays start and end in the country you are visiting, as these will be busier periods. a. Use multiple price comparison sites like Skyscanner to find the best dealb. If you're specifically looking for a ski holiday, check niche sites like Igluski for special deals and see how these compare to other websites.c. If you can be flexible with travel times and even destination, it can be beneficial to leave your holiday to the last minute and book it through a website like Laterooms or Last Minute.d. If you're looking for luxury holidays at a discount, sign up to websites like Secret Escapes and Voyage Prive and take advantage of their members-only rates. 3. If you are looking for hotels or accommodation near a ski resort, theme park, or any other attraction, don't just settle for well known well-advertised facilities. You might get a better deal renting a privately owned chalet directly from the owner, staying in a small bed and breakfast, or arranging a house swap. Ask for advice from friends who have visited the region, contact local tourist information, or just do some scouting online. 4. For ski and snowboard holidays in Europe, the cheapest destinations are further East. 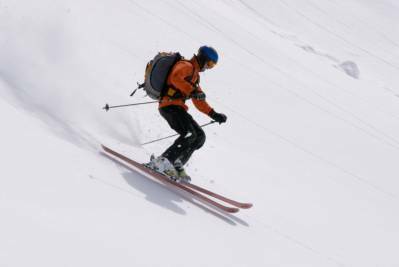 Look into ski holidays in Romania, Bulgaria and Slovenia. 5. If you are buying skiwear and equipment before you travel, you can demand an Amazon discount using the price beater on the Money Dashboard website to get a better deal on any product listed on Amazon UK. 6. If you are taking ski equipment on the aeroplane with you, check your airline baggage regulations before booking your flight. There may be an extra charge for outsized luggage so include this in your calculations when comparing the cost of flights. 7. If you are renting ski equipment or skiwear at your destination, check if there is a way of saving money by reserving in advance, and look for independent ski rental places not affiliated with large resorts. 8. Some hotels and resorts may be accessible from more than one airport. Don't just look at the most direct flights, consider travelling to a slightly smaller or further away airport. The savings on flights might be greater than the increased cost of ground transport to your accommodation. 9. Before booking, check local information for your destination to see if there are any events that will affect both the cost and your activities, such as winter sports competitions and festivals. 10. Research transport from the airport to your accommodation in advance. Airport taxis are often expensive, and there might be a bus or coach service that will do the job. Even if you do end up booking a taxi, there might be a discount for booking in advance. 11. Don't assume that winter sports will be included in your travel insurance; often it is intentionally excluded due to high risk. Shop around for a travel insurance policy that covers your health and your equipment while skiing or snowboarding abroad. It might be more expensive up front but it will save you from enormous foreign medical bills if you are involved in an accident. 12. Avoid grocery shopping in resort or tourist-aimed convenience stores; they are likely to be overpriced. Instead try and find a supermarket, even if it is a little further from your accommodation. 13. If you can't find a great trip at a price you can afford, it might be worth booking now for a holiday next year. There are often deals or discounts for early booking.